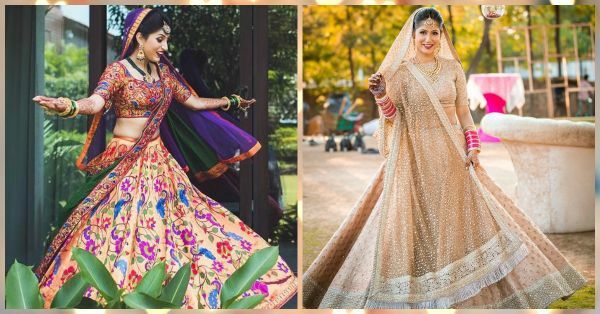 10 *Stunning* Bridal Lehengas We Spotted This Year… NOT Red! Red is the most common wedding lehenga colour, but no longer is it the only one. A quick glance through the latest Instagram pictures of our amazing photographers and designers and we know that red has now been replaced by a lot of other fab colours! 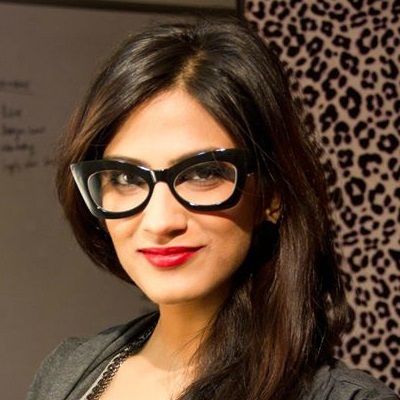 Yes, our fashion conscious brides are experimenting and God, they look oh-so-stunning! 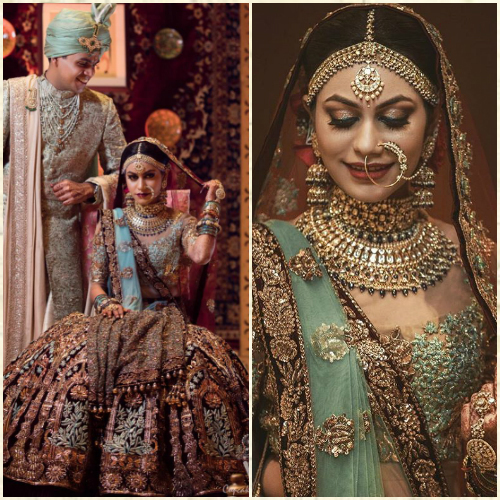 Take a look at 10 gorgeous brides and their beautiful bridal lehengas. And no, they are not red! Image: Cupcake Productions on Instagram Dressed in a Manish Malhotra bridal lehenga, bride Saloni looks like a million bucks. The deep blue gives her a royal wedding look and is perfect for the 2017 winter bride. We bet we’re going to see a lot of blue this shaadi season. Image: Cupcake Productions on Instagram Bride Meghnit is a vision in her elaborate wedding lehenga. The light pink outfit is paired with a pastel green dupatta and intricate gold embroidery. Now isn’t that one stunning look?! This is the only combination you should be looking at for a day wedding. 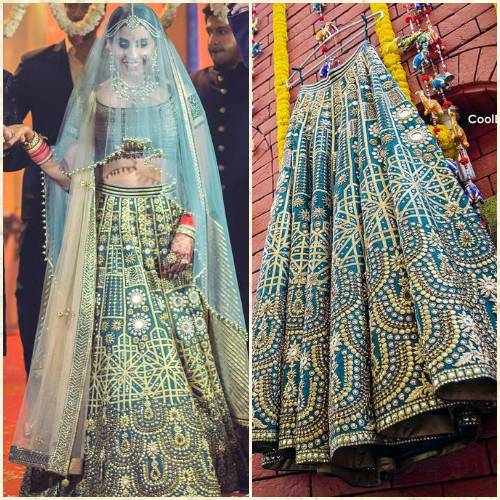 Image: WeddingNama on Instagram God, it’s hard to get over bride Mitali’s gorgeous lehenga. 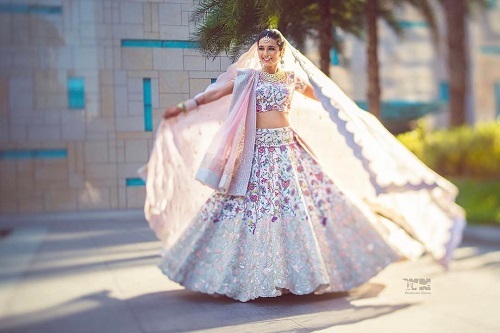 Purple, green, hints of blue, pink and gold...this lehenga is by far the most innovative ever! 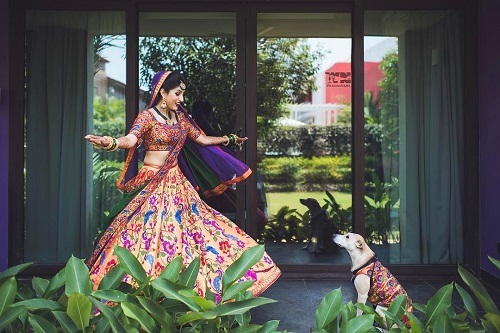 Love the floral resham threadwork and oh, don’t miss her little pooch in a matching outfit. So, SO cute! Image: WeddingNama on Instagram Miss Style Fiesta, Masoom Minawala’s wedding has been the talk of the town for a while now. 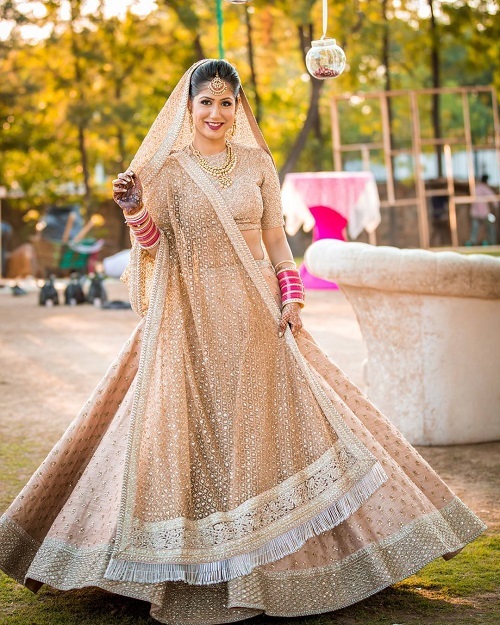 For her wedding, Masoom wore an ivory Anamika Khanna lehenga and it was breathtakingly beautiful. Adding some colour was the floral embroidery and we can’t get over the glamorous sequins work. Absolutely stunning! Image: Cupcake Productions on Instagram This is what royalty looks like. 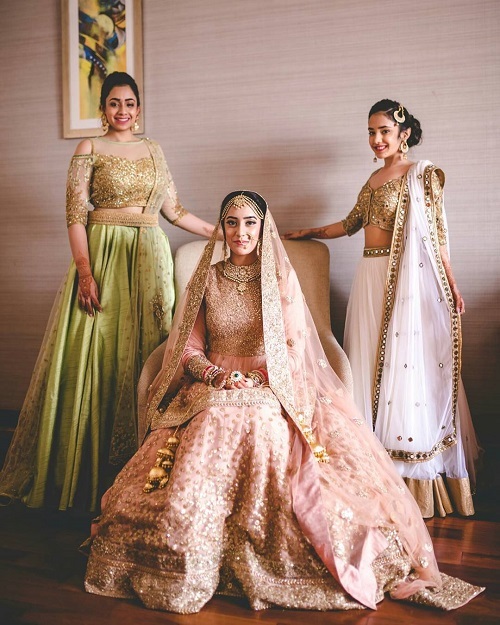 Bride Nishtha chose a Manish Malhotra creation for her big day and it looks oh-so-exquisite. A combination of deep maroon and aqua blue, this one just makes you stop and stare. 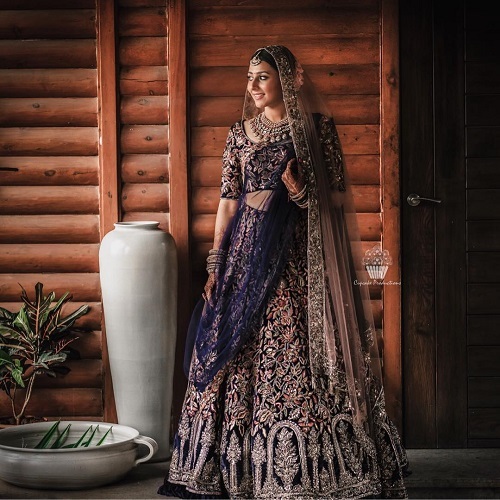 Image: Gautam Khullar Photography on Instagram A signature Sabyasachi lehenga with tons of sequins and dull gold embroidery, this beige lehenga looks so elegant and classy. We are loving the fringe details in the dupatta! For the bride who wants to keep it classic and light, this look is so perfect. 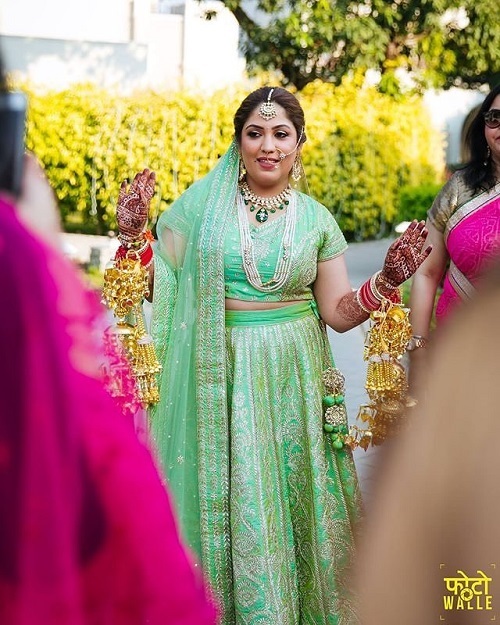 Image: Gautam Khullar Photography on Instagram Opt for a gold-yellow shade for your big day just like bride Aditi did! It’s a nice, vibrant colour that’ll make you look every bit bridal and oh-so-stunning! And do not forget to flash a beautiful smile just like this bride did. Image: CoolBluez Photography on Instagram The bride wore a JJ Valaya creation for her big day and we have to admit, it’s beyond gorgeous! The emerald colour is a show stealer and we can’t get over the intricate work. This is one Bollywood ready look. Love it! 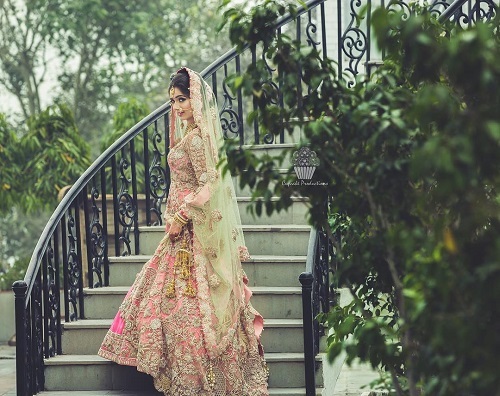 Image: Mahima Bhatia Photography on Instagram Nothing looks more charming than a pretty blush pink lehenga. And if you were having second thoughts about this colour, this beautiful picture will solve all your doubts. Dressed in a Sabyasachi creation the bride looks like a dream. Image: Fotowalle on Instagram A dark green for the night and a pretty pastel or pista green for a day wedding...this is one colour that will look great always. The adorable bride chose a nice pista shade with silver embroidery for the morning ceremony and it sure makes her look extremely pretty.